I have placed a plain text copy of the letter, with paragraph numbers and links to the sources, in the documents archive of my Bahai studies blog. There is a distinction between activities that can be supported explicitly by Baha’i institutions and those where Baha’i institutions should not participate but individuals can make a personal decision to take part, without implying that they are representing the Bahai Faith (paragraph 6). The letter is also interesting for containing the first explicit acknowledgement that I know of, that the unity of nations – like the Lesser Peace – was not achieved in the twentieth century, describing this an uncompleted project that has left dangerous gaps in international relations (paragraph 8). Hate crime targets a Bahai in Oregon, USA. Portland Tribune, March 29, 2017. The Sheriff’s Office in Multnomah County, Oregon (USA) is investigating a hate crime reported on Tuesday, March 28, in Troutdale. 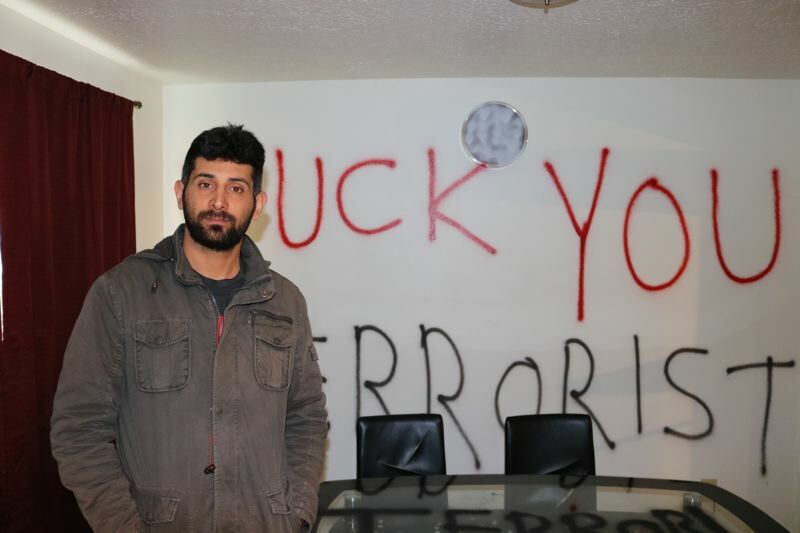 Hasel Afshar, 33, who was born in Iran but has lived in America since 2010, returned from a three-day vacation in Canada to find his two-story home on Southeast 26th Court ransacked, the walls coated in racist epithets. The graffiti calls Afshar a “terrorist” and orders the “Muslim” to “get out.” The vandals left a note on Afshar’s coffee table, weighed down with seven .45 caliber bullets arranged in the shape of a cross. ‘”If I see you here next month, I will shoot you and burn your house,'” the note reads, according to Afshar. Afshar isn’t Muslim. He’s Baha’i. He doesn’t know how long it will take to clean up his home. Walls are covered in red paint, couch cushions deliberately torn and his belongings scattered. In a week or two, once he finishes cleaning up, Afshar says he will sell his home and leave the United States. He has friends in Australia and Canada who he says never experience discrimination like this. This isn’t the immigrant’s first experience with prejudice. In Iran, a Muslim-majority country, Afshar says police entered his family home, stole their books and arbitrarily arrested members of the Baha’i faith community. Later, after his arrival in the United States, Afshar says he was punched in the face while living in California, in what he describes as a racially motivated incident. He goes on to describe conflicts with a former supervisor at the Portland-based company where Afshar works as a machine operator, cutting out mailers and business cards. More recently, Afshar says he was parking outside a Plaid Pantry when a man in a baseball cap pulled up in a white construction van. Get the (expletive) out of America! We don’t want you here,” the man shouted. That was on Tuesday morning, March 7. Afshar now wonders if the man followed him home. Bahai World News Service, February 23, 2017. Construction of a local Bahai House of Worship in Agua Azul, a village in Norte del Cauca, Colombia, began in January, after building contracts were formalized with a local firm in the region. Following the groundbreaking ceremony in May 2016, the three-meter high central mound on which the 18-meter tall Temple will stand has been completed, and the foundational work for the surrounding auxiliary structures has been laid. In time, these structures will be painted in the bright colors traditional to buildings in Colombia. Since the property for the House of Worship (Mashriqu’l-Adhkar) was acquired in December 2013, the community has been undertaking a reforestation project on an 11-hectare piece of land adjacent to the Temple site. The initiative has helped to reintroduce native vegetation to the area, which was decimated by years of monoculture plantations of sugarcane. The team committed to the project has already successfully raised 43 species of plants on the land, which is designated for a Bosque Nativo, or native forest. A general letter released by the National Spiritual Assembly of the Bahais of the United States on February 25 focusses on the theme of race unity. An earlier letter on this theme, entitled ‘eradicating racial prejudice in the nation’, was timed to coincide with the Feast of Izzat, on September 8, 2014. American Bahais, it says, “have a twofold mission: to develop within our own community a pattern of life that increasingly reflects the spirit of the Baha’i teachings, and to engage with others in a deliberate and collaborative effort to eradicate the ills afflicting our nation.” (paragraph 6). In the context of involvement in the national discourse on race, the letter speaks of “a national race unity conference under the sponsorship of this Assembly, details of which will be announced in due course.” (Paragraph 11). The full text of the letter is in the documents archive of my Bahai studies blog. Bahai World News Service, February 15, 2017. The new “Bahais of Iran” website is the first website of the Baha’i community of Iran. This is especially important at a time when a large volume of anti-Bahai propaganda has proliferated in that country. Full report in English: here. Farhang Amiri (فرهنگ امیری), a Bahai living in Yazd, was murdered by two persons who came to the door of his house on the evening of September 26. He suffered multiple stab wounds, including to the heart. According to one report he was first hit on the head with a brick. Initial reports are that the murder was not related to his Bahai beliefs, and that two persons have been arrested but not yet charged. The Bahai News report says that two persons came to the door, and when his son Puya opened the door, they made the excuse of asking whether his car was for sale, and then went away. Another report based on a statement from the family says that the same happened on a previous occasion, when Mr. Amiri’s wife opened the door. On the evening of September 26, Mr. Amiri himself opened the door and was immediately attacked. He was taken to hospital, but his injuries were fatal. The two assailants fled but were later arrested on the basis of “information received.” Mr. Amiri’s father was executed for his Bahai beliefs. Photographs inside the courtyard are available in this previous report on Sen’s Daily (2013). <strong>Older items </strong>can be found in the archive, <a href=”https://sensday.wordpress.com/news/”>here</a&gt;. Even older news is <a href=”https://sensday.wordpress.com/old-news/”>here</a&gt;. Iran Press Watch, June 23, 2016. Navid Khanjani, a Bahai social activist, has been transferred from Raja’i Shahr prison to hospital for treatment. He has physical health problems, a weakened immune system and a sudden weight loss, of about 20 kilograms (44 lbs) in two months. 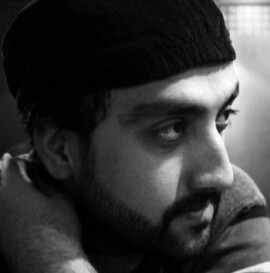 On March 2 2010, after protests against the elections of 20091, under the human rights activists detention project operated by the Intelligence Office of the Islamic Guards, Navid Khanjani was detained at his family home in Isfahan and transferred to section 2-A of the Islamic Guards Detention Center for some time. In August 2012, in the course of helping with earthquake relief in the Iranian province of Azerbaijan, he was arrested, and on September 5, he was moved to Ward 4, Hall 12 of Raja’i Shahr prison to carry out his sentence. He had previously been detained in March 2010, and released on bail after spending two months in solitary confinement. Publishing lies to disturb public opinion. Egyptian Streets, June 1, 2016. Egyptian MP Ala’a Abdel Mone`em (علاء عبد المنعم) has announced he will introduce new legislation within the next two weeks to remove citizens’ religious affiliations from national identity cards. All Egyptians over 16 must have an ID card, which is used for opening a bank account, registering at a school or university, obtaining a mobile or landline telephone, obtaining a driver’s license or passport (which does not have “religion” field), applying for social services, registering to vote, and paying taxes. However the Bahai Faith cannot be entered as a religion: the possibilities are limited to ‘Muslim,’ ‘Christian,’ or ‘Jew.’ Atheists therefore face the same difficulties as the Bahais, and Shiah Muslims are assumed by default to be Sunnis, Catholics are assumed to be Copts, and so on. This matters because ‘personal status’ issues in Egypt are settled in accordance with the religious law of the person concerned – providing his or her faith is one the three main religions. A report in ‘7 days‘ reports Bahai spokesperson Dr. Basma Moussa (بسمة موسى) as expressing strong support for the abolition of the “religion” field on identity cards, but adding that this “is not sufficient to eliminate discrimination, extremism and sectarianism within the community. We need to reform education to eliminate the problem at its roots.” The need for curriculum reform to combat sectarianism and prejudice has been echoed by others, in what has become a wide debate in Egypt. I have placed a plain text version of the message, with paragraph numbers added, in the documents archive of my Bahai Studies blog. Iran Human Rights (English), May 20, 2016. [Editorial] The Persian-language media and social networks have been buzzing with reactions to a home visit by Faezeh Rafsanjani, daughter of a prominent Iranian politician, to visit Fariba Kamalabadi during the latter’s 5-day prison furlough. Mrs. Rafsanjani was imprisoned with Mrs. Kamalabadi for six months. The visit broke social taboos and the propaganda stance of the government, according to which Bahais are ‘unclean’ and Muslims should not have social contact or business dealings with them. Mrs. Rafsanjani is not the first prominent Iranian intellectual to make such a gesture in recent years, but her visit with the Bahais has hit the headlines in government-sponsored media because it gives the enemies of her father a chance to undermine his position. The IHR report gives a compact overview of the flood of reactions, and also explains why, in Iran, a person can be punished by the courts for doing something that is not against the law. A high-ranking member of the Iranian Judiciary has said that action will be taken against Faezeh Hashemi, the outspoken daughter of prominent former Iranian President Akbar Hashemi Rafsanjani, following her meeting with Baha’i leader Fariba Kamalabadi and other well-known civil rights activists in Tehran last week. Faezeh Hashemi previously shared a prison cell with Kamalabadi. Ejei’s statement comes on the heels of calls from other hardliners for Faezeh Hashemi to be arrested for meeting with Fariba Kamalabadi, an imprisoned leader of the Baha’i community who was home on a five-day furlough, on May 13, 2016. Simin Fahandej, the faith’s spokesperson at the United Nations in Geneva, told the International Campaign for Human Rights in Iran that these calls are aimed at further isolating the Baha’i community, which is one of the most severely persecuted religious minorities in Iran. “Faezeh Hashemi’s action is a humanitarian gesture to show respect for the beliefs of others, which shows her social maturity,” said Fahandej. Faezeh Hashemi’s meeting occurred at a particularly sensitive time for her father, whose recent election to the Assembly of Experts—which will choose Iran’s next supreme leader—has been seen as a political comeback for the previously sidelined cleric. Hashemi Rafsanjani had previously avoided publicly criticizing his daughter—whose activism for civil rights issues, especially women’s rights, is situated to the left of Iran’s reformists on the political spectrum—but he was quick to denounce his daughter’s latest move. “Faezeh has made a bad mistake and she must correct and redeem herself,” Hashemi Rafsanjani told a group of journalists from the hardline Jomhouri Eslami newspaper on May 15, 2016. Hashemi Rafsanjani, a leading founder of the Islamic Republic of Iran, began to fall out of favor with hardliners in 2009 when he criticized Supreme Leader Ali Khamenei for the government’s violent reaction to the mass peaceful protests that followed the widely disputed election of President Mahmoud Ahmadinejad. Hashemi Rafsanjani, a former president who lost his presidential bid to Ahmadinejad in 2005, subsequently came under various attacks designed to politically marginalize him. His support was a crucial element of President Hassan Rouhani’s election to office in 2013. Substantial wins by backers of the Rouhani government in Iran’s recent 2016 elections, including by Rafsanjani, have consequently put hardliners on the defensive. Fariba Kamalabadi and six other leaders of the Baha’i community in Iran were arrested in 2008 and sentenced to 20 years in prison each in 2010 for “espionage,” “propaganda against the state,” and “organizing and expanding an illegal group.” She was on her first furlough after eight years in prison when Faezeh Hashemi visited Kamalabadi at her home. Kamalabadi has since been returned to Evin Prison. Iranian officials have repeatedly denied prosecuting Baha’is for their religious beliefs, but have routinely accused members of the religious minority of crimes against national security, including espionage, on thin or non-existent evidence. More than 80 Baha’is are currently held in Iranian prisons, according to Fahandej. Iran’s supreme leader, Ali Khamenei, has declared Baha’is “unclean” and forbidden Muslims from having any contact with them. But the faith’s spokesperson at the UN said Baha’is remain determined to gain full citizenship rights. “One of the methods used by the Islamic Republic to divide Baha’is and other Iranians is the use of false accusations and baseless information in the mass media,” Fahandej told the Campaign. On May 16, 2016 Ayatollah Naser Makarem Shirazi condemned Faezeh Hashemi and called on the Judiciary to take action. He described her meeting with Fariba Kamalabadi as “a crime aimed at strengthening the enemies of Islam” and advocated her prosecution. The Judiciary’s top official, Sadegh Amoli Larijani, reacted to Faezeh Hashemi’s meeting by describing Baha’is as “a false group created by foreigners and colonialists” whose leaders “receive orders” from foreign intelligence agencies, on May 16, 2016. Without mentioning Faezeh Hashemi by name, Amoli Larijani said any support for Baha’is amounted to breaking societal norms. Mohammad Reza Naghdi, the commander of the Basij militia force, meanwhile said the government must not take the meeting between a high-profile Muslim and a Baha’i lightly. A group of conservative merchants from Tehran’s bazaar also issued a statement on May 16 criticizing Faezeh Hashemi’s meeting and called on Tehran’s prosecutor to investigate. A spokesman for the clerical faction of MPs meanwhile publicly scorned Faezeh Hashemi and joined other hardliners in calling on the Judiciary to punish her. Faezeh Hashemi has also been criticized by the Rouhani administration. “I wish those who carry a prominent family name… would think about the consequences of their actions… and realize that their action has neither helped their host nor removed any burden from the country’s shoulders,” said Rouhani’s Cultural Affairs Adviser Hesamoddin Ashena on his Facebook page. Rouhani has been facing growing criticism from civil rights activists for failing to deliver on his presidential election campaign promises to open up Iranian society and investigate human rights violations. Despite the torrent of criticism, Faezeh Hashemi has offered no apologies. Iranian laws do not specifically prohibit contact or communication with Baha’is, therefore meeting with Baha’is is not technically illegal. However, the Iranian Constitution includes a loophole that could be used to punish minorities above and beyond the law. Faezeh Hashemi’s critics are now referring to religious decrees (fatwas) against Baha’is, including those issued by the supreme leader, to build a case against her. Christian Today, May 17, 2016. A transgender woman will join representatives from the Sikh and Baha’i communities as new advisers to President Obama on faith-based issues. The White House announced the additions to the President’s third and final advisory council on faith-based and neighbourhood partnerships last week. Barbara Satin is the assistant faith work director for the National LGBTQ Task Force and a member of the United Church of Christ (UCC). She was the first openly transgender member of the UCC’s executive council and has served on the board of a number of other LGBT community groups. The other appointments included Naseem Kourosh, human rights officer at the US Baha’i office of public affairs and Manjit Singh, co-founder and chairman of the Sikh American Legal Defence and Education Fund. Along with a number of other appointments, Obama said Satin, Kourosh and Singh were “fine public servants” and would bring “depth of experience and tremendous dedication” to their roles. The President’s advisory council is charged with making policy recommendations to the administration as well as suggesting improvements and best practices for services that relate to faith-based groups. The council currently has fifteen members, most of whom are Christian. The complete letter in text format is available in the documents archive of my Bahais Studies blog. The pdf version is online here. The Malaysian Insider, December 28, 2015. The Ministry of Home Affairs in Malaysia has banned Baha’ullah and the New Era: an introduction to the Bahai Faith with effect from December 28. Four Islamic publications were also banned: The Teachings of the Quran (possibly referring to the widely used school texts by the renowned scholar Abidullah Ghazi), and three Islamic works in Malay. The authors and publishers are not named in this report. The ban was gazetted on November 26. Hashimah said The Teachings of the Quran contained “deviationist interpretations,” and that the other banned publications “could damage public peace and alarm the people as they contained elements which could confuse the Muslims and damage their faith.” Anyone printing, importing, selling or possessing the banned materials can be jailed for up to three years and/or fined up to RM20,000 ($US 4,600). 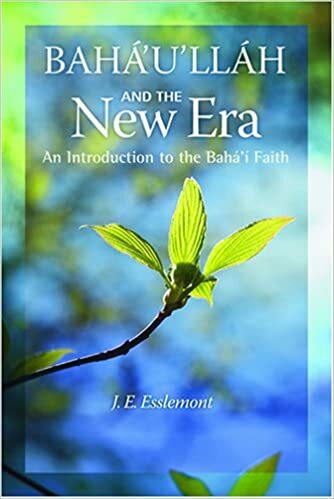 Baha’ullah and the New Era is an introductory book about the Bahai Faith, originally written by J.E. Esslemont and published in 1923. It has been revised and updated several times since then, and is published electronically on the Bahai Reference Library (free to read or download). A’en-e Baha’i, December 13 (? ), 2015. The Secretariat at the Bahai World Centre has published a letter in Persian that is of interest to the Bahais in Iran. 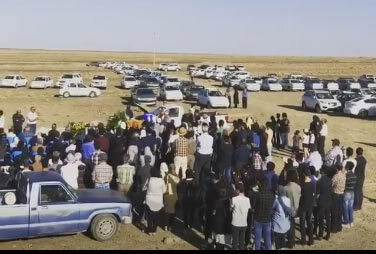 It responds to a number of questions about collective efforts and teaching the Faith in Iran, and advises the questioner that the answers will be found through consultation with the local friends. It also urges the friends not to be critical of one-another, but to support and encourage one another, most especially during the difficult period when the Bahai Administration is not operating in Iran. I have placed the Persian text in the “Documents Archive” of my Bahai Studies blog. Daily Sun (Bangladesh), December 9, 2015. As previously reported, on the morning of November 8, three assailants on a motorcycle attacked a Bahai man, Ruhul Amin, who was shot twice, in the leg and shoulder, but survived the attack. Mr. Amin works as Personal Assistant to the Director of Rangpur Medical College Hospital, as well as being active at the Rangpur Bahai Centre. Islamic State later claimed responsibility for this attack, and the murders of a 64-year-old Italian physician, Piero Parolari, who is assistant pastor of the Dinajpur parish of the Roman Catholic church, Rahamat Ali, an attendant at a Sufi shrine who was bludgeoned t death, Cesare Tavella, an Italian aid worker working for a Christian organisation based in the Netherlands, and Kunio Hoshi, a Japanese agricultural worker, on October 3. Police in Bangladesh have now announced several arrests and a confession of involvement from the local leader of the Jama’atul Mujahideen Bangladesh (JMB), a violent Salafist group native to Bangladesh that seeks to establish an Islamic state there. The JMB leader, Masud Rana, gave his confessional statement before a court in Rangpur on Monday, admitting that he and two accomplices had shot Kunio Hoshi. According to Humayun Kabir, the Deputy Inspector General of Police for the area, Rana was arrested on Thursday, December 3. Rana was also involved in the killing at a shrine in Kaunia on November 10 and the shooting of a Bahai community leader in Rangpur city on November 8, the police official said. “Police also seized huge home-made explosives and sharp weapons from a pond near his house,” he added. Other sources report two further arrests, of JMB leader Morshed Ali, 36, and his nephew Shahidul Islam, 35, in connection with the shrine killing. Curiously, this report does not mention the shrine killing or Rana, yet some reports indicate that Rana was first arrested in connection with the shrine killing, and only later connected to the murder of Kunio Hoshi. Until a public trial is held, the possibility of mistake and misinformation in the media reports should be borne in mind. One report even names Humayun Kabir Hira — the police spokesman — as one of those arrested. Update, December 16, The Daily Star. The police have so far arrested 18 suspected JMB members in different districts of the division in connection with the attacks, said DIG Humayun Kabir. Of them, five were held in Rangpur, seven in Dinajpur and three each in Gaibandha and Lalmonirhat. During raids to arrest them the police also seized firearms and ammunition including an AK-22 rifle, three foreign pistols, 47 rounds of bullet, three motorcycles, laptops, a significant amount of explosives and jihadi books. The Rangpur police range chief claims apart from the killing of Japanese national Hoshi Kunio and shooting of Italian doctor and pastor Piero Arolari, the outfit was involved in the killing of Rahmat Ali, a caretaker of a shrine in Kaunia, on November 11 and shooting of Ruhul Amin, a Bahai community leader and employee of Rangpur Medical College Hospital, on November 8. World Magazine, November 16, 2015. Religious minority groups in Iraq are protesting a new law that would force children, under some circumstances, to become Muslim. Chaldean Patriarch Louis Sako of Baghdad urged Iraqi President Fuad Masum to reject the recently passed national charter, which could take religious freedom away from children and teenagers. Chaldean Catholics, Yazidis, Mandean, Kakai, and Bahai minorities all opposed the charter. One article of the legislation states that children under 18 years old would have to become Muslim if their fathers convert to Islam or their mothers marry a Muslim man, according to Aid to the Church in Need (ACN). In a Nov. 6, meeting, Sako urged Masum to veto the charter because the law would violate religious rights enshrined in the Iraqi constitution. Emily Fuentes, a spokeswoman for Open Doors, said the new law also would violate international standards for religious freedom and conscience. Because there is often government or community pressure not to convert to any other religion in Muslim countries, the Iraqi law “puts the children in a corner,” Fuentes said. “Even if they think, ‘Okay, I’ll be Muslim now because it’s legal and switch when I’m 18,’ they can’t really do that,” she said. Chaldean leaders in Iraq predict the new charter will accelerate the country’s Christian exodus, if enacted, CNA reported. The Star, November 23, 2015. A judgement issued by the High Court on October 28, 2015, will mean that Bahai marriages can be registered in Kenya. Justice Mumbi Ngugi ruled that while section 6 of the Marriage Act did not mention the Bahai Faith as one of the faiths whose marriages could be registered, the intention was not to exclude the Bahai or any other faith-based marriage. Ngugi said the omission was a result of the failure of people who drafted the Act to use language that would cover not only the main religions practiced in Kenya, but also the minority. Ngugi said it has to be read to include every marriage celebrated in accordance with the faith of a religion duly registered in Kenya. Bahai News (Persian), November 13, 2015. Koroush Rouhi (کوروش روحی), a Bahai man from Shiraz, was stabbed to death in the parking area of his home on Fazilat Avenue (خیابان فضیلت) yesterday. The circumstances and motives have not been clarified, but there is no indication that he was killed for religious reasons.